Pocket-size snack packs. 137 kcal. High in fibre. Packed with veg. Portion controlled. No artificial colours, flavours or preservatives. 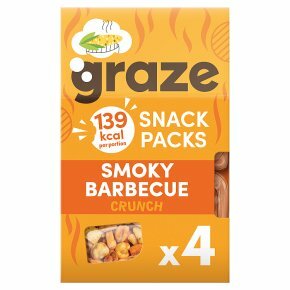 Vegan.We've reimagined all the flavour of a smoky summer barbecue into a helpfully portioned pack. Who knew vegetables could be so tasty?